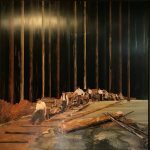 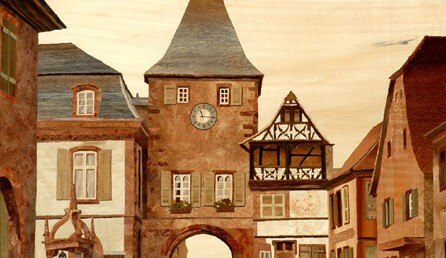 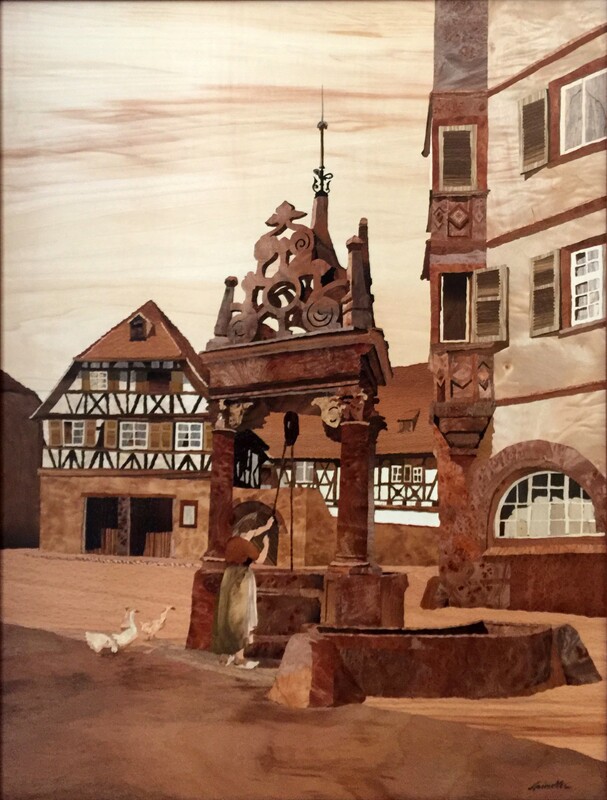 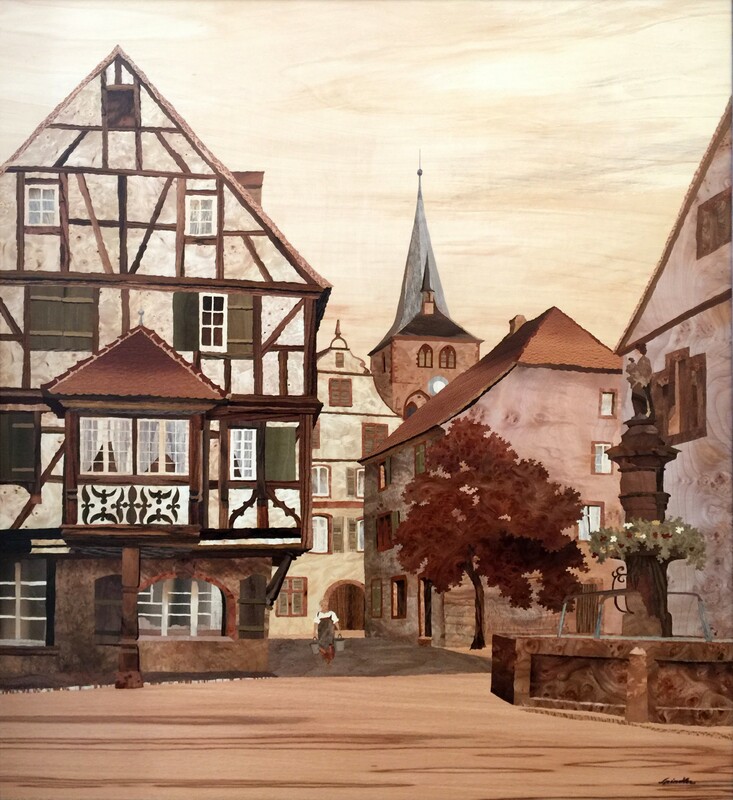 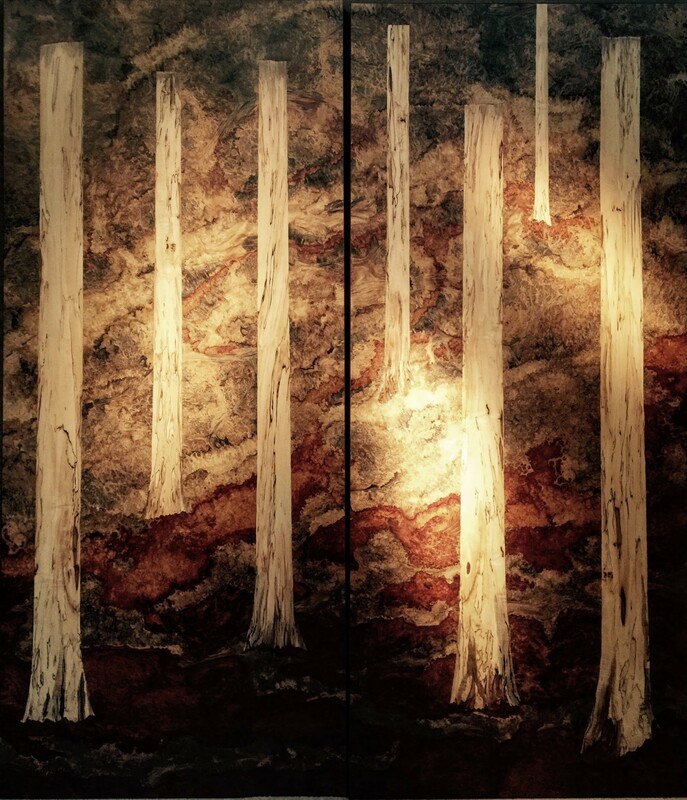 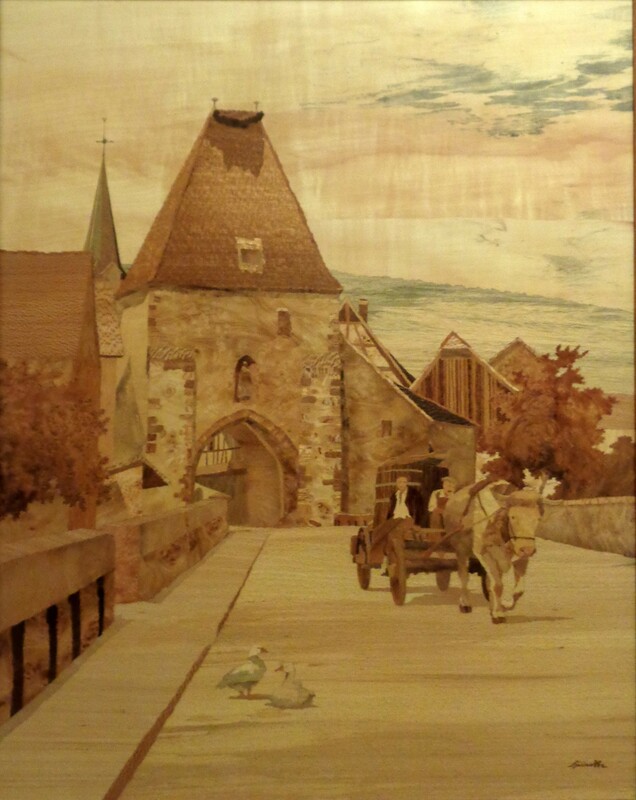 For nearly a century the Jean Charles Spindler art marquetry workshop has been open within the walls of the former abbey of Saint-Leonard, long cherished as a place for meditation and creation, and a Mecca of artistic achievement since the 1800’s. 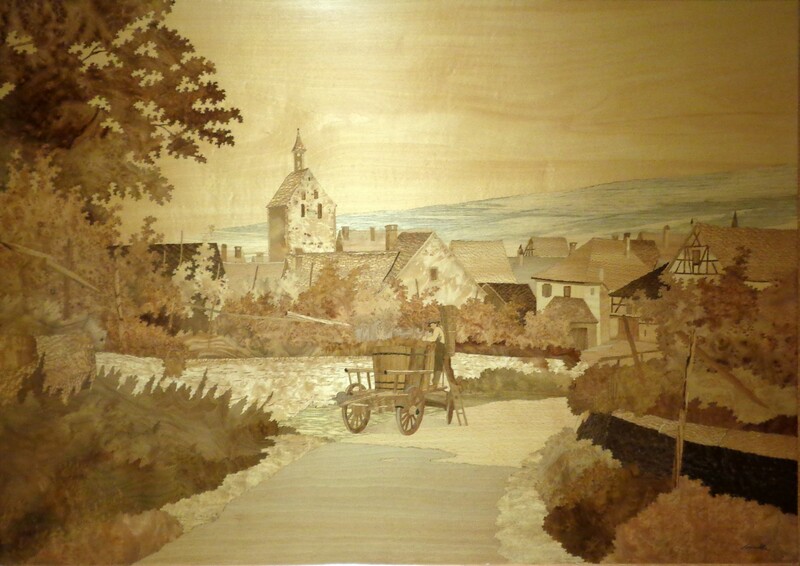 Jean-Charles Spindler took over the workshop from his father, Paul, who in turn followed his father’s footsteps. 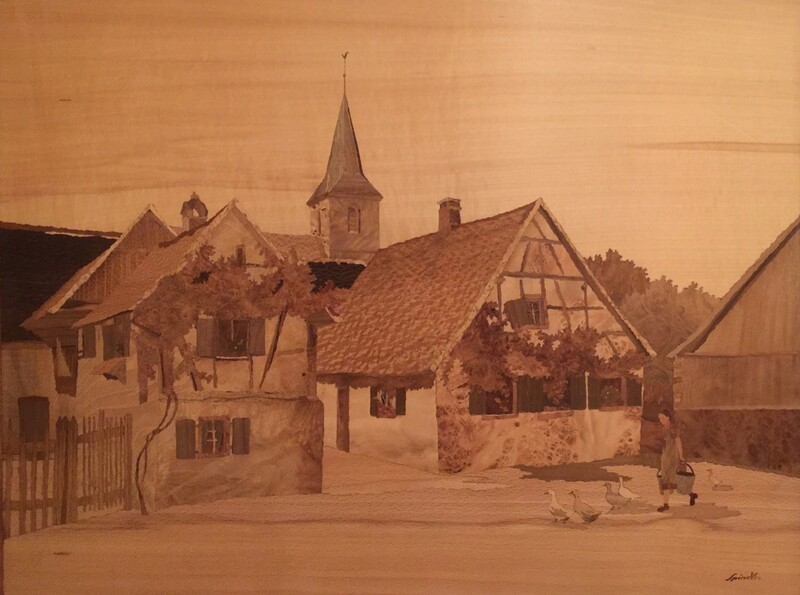 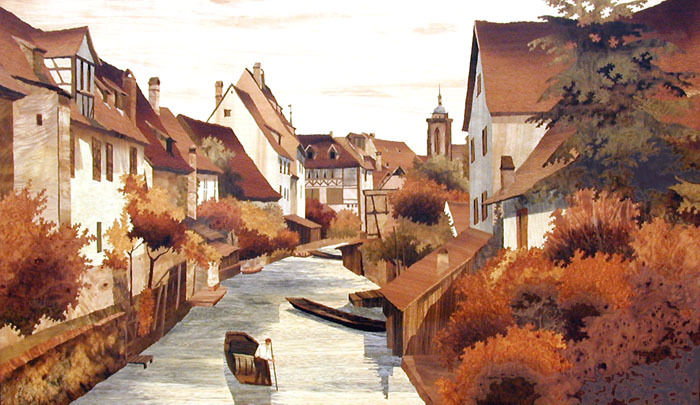 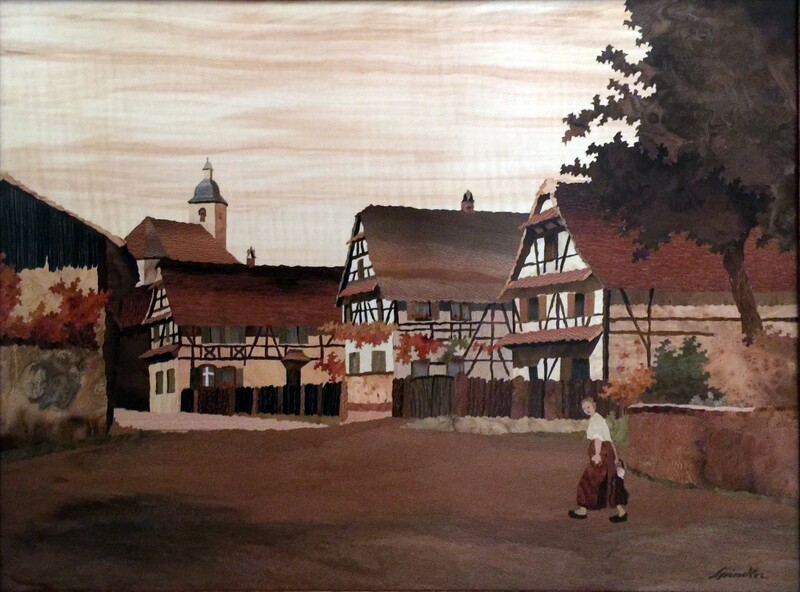 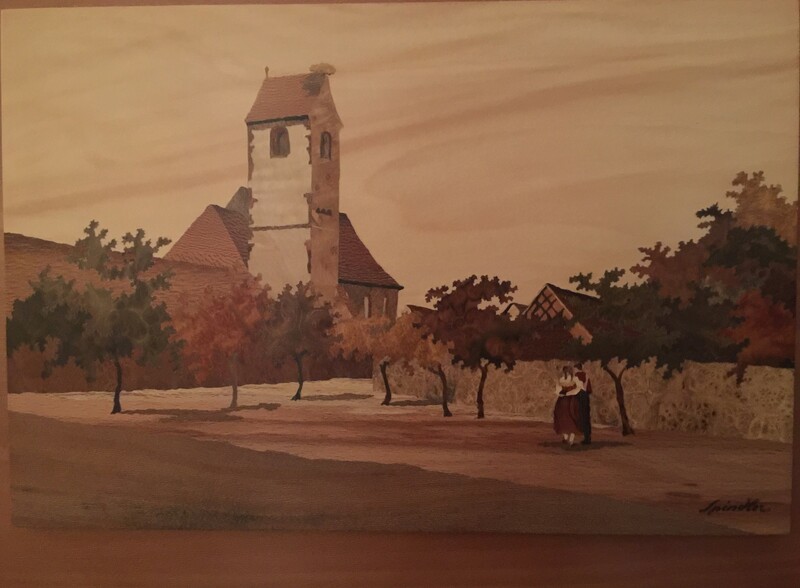 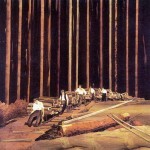 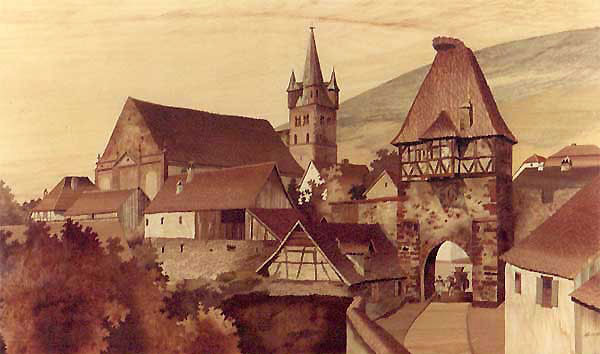 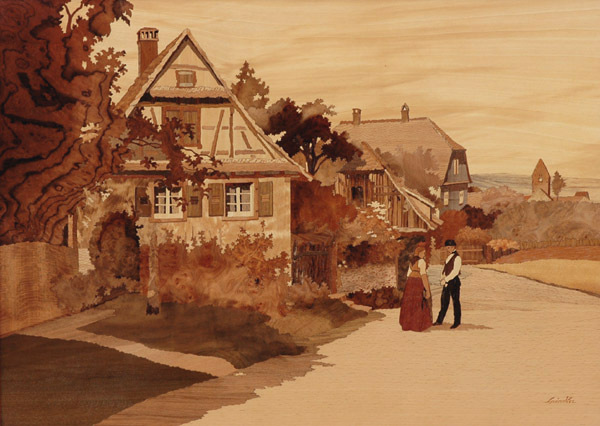 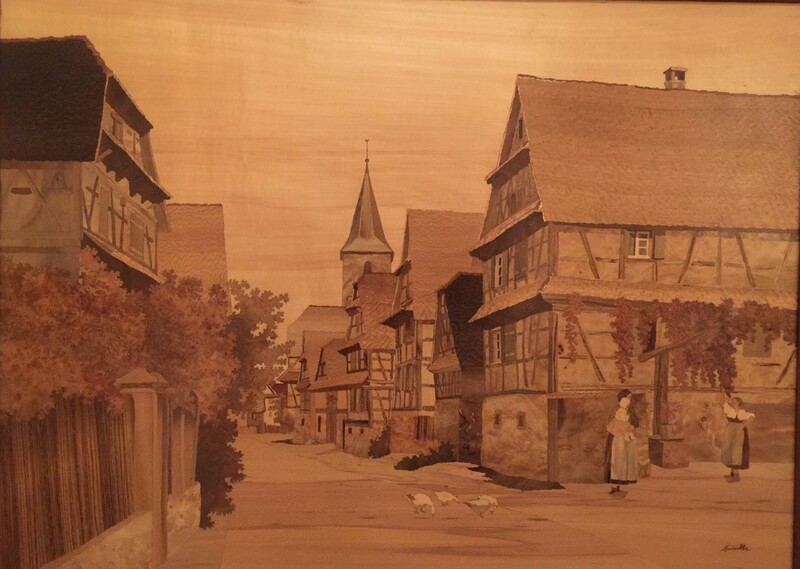 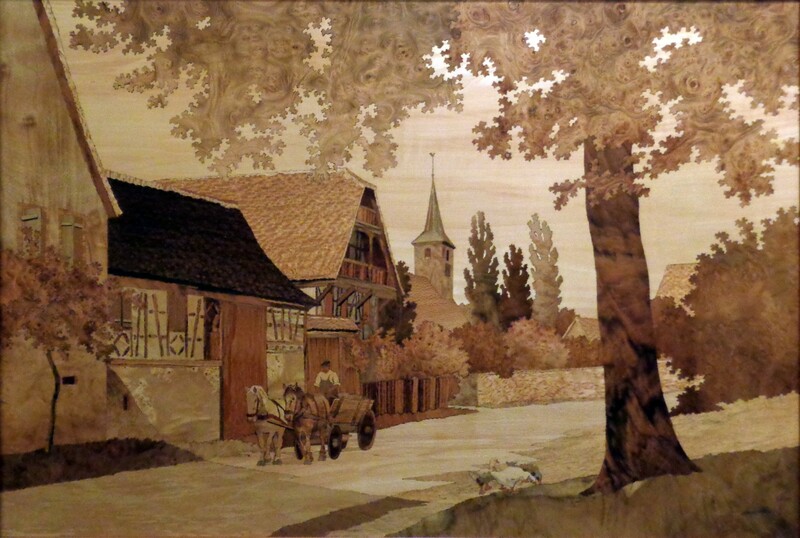 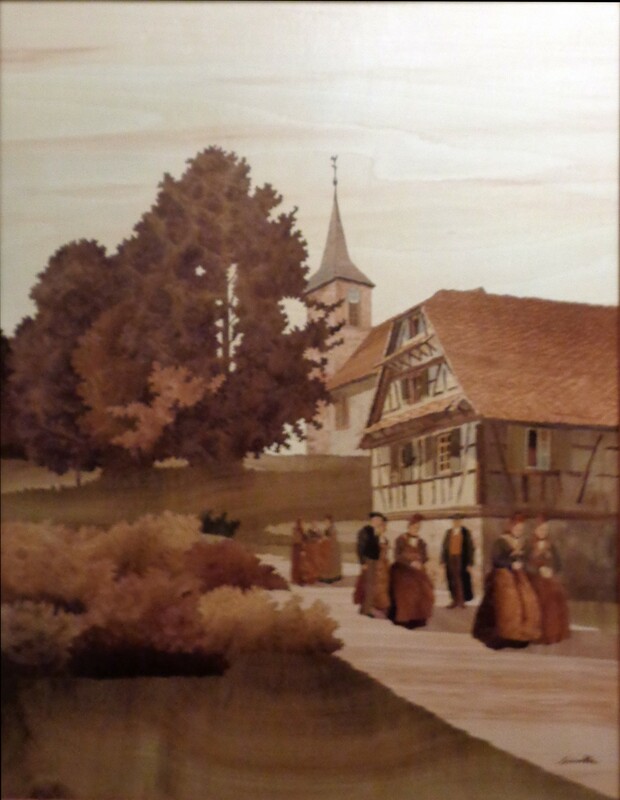 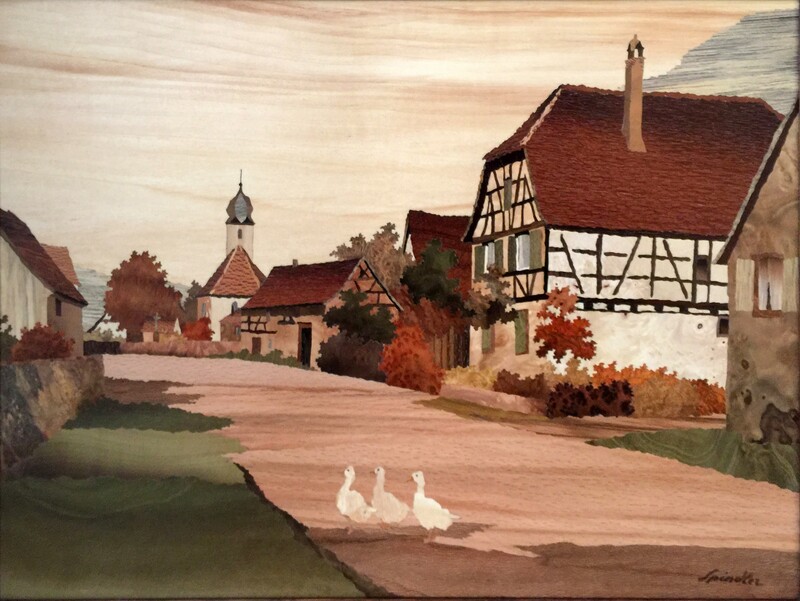 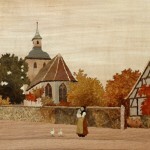 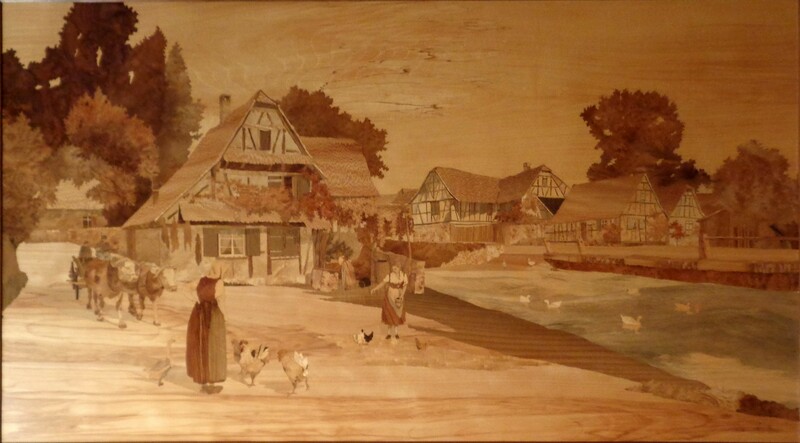 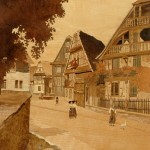 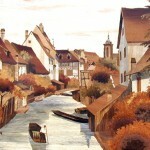 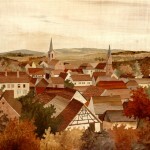 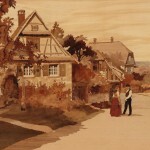 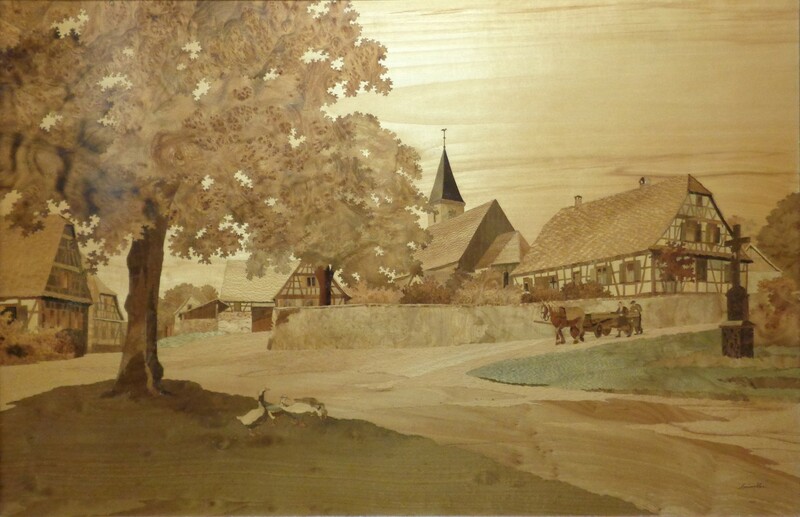 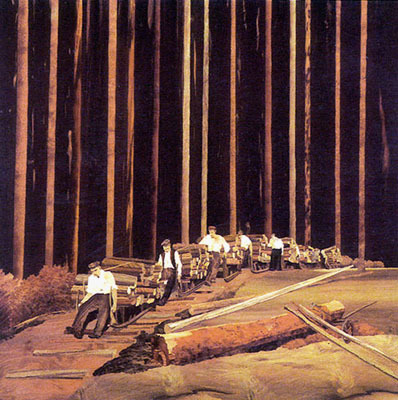 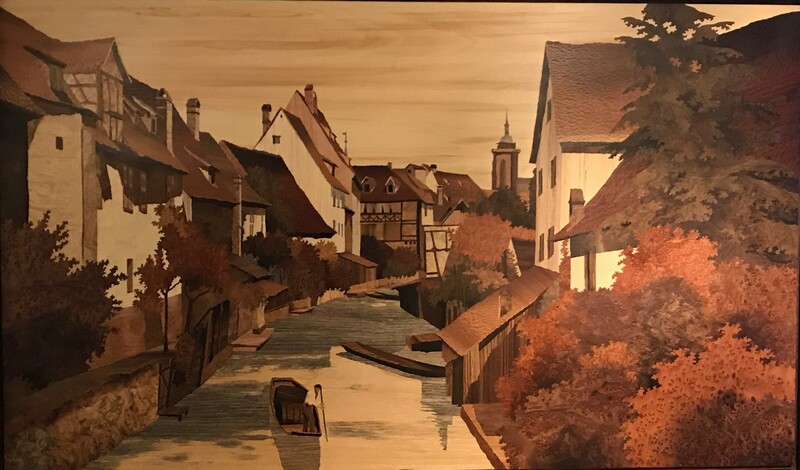 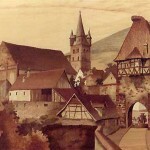 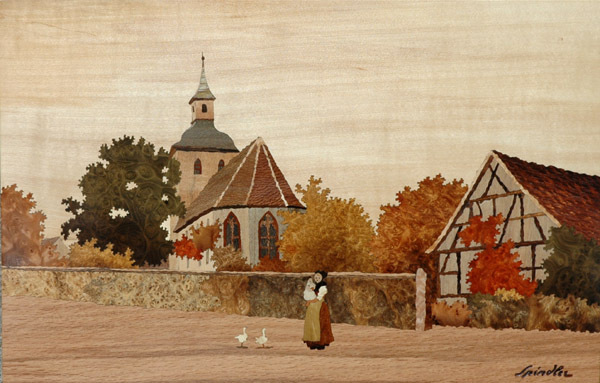 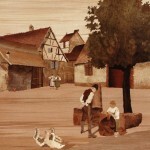 Charles Spindler, the grandfather, discovered for himself the technique of marquetry in 1893. 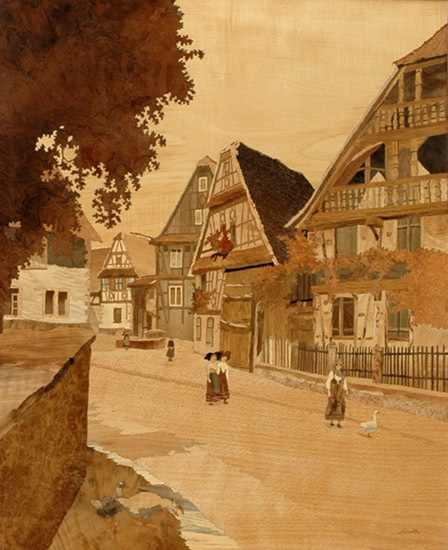 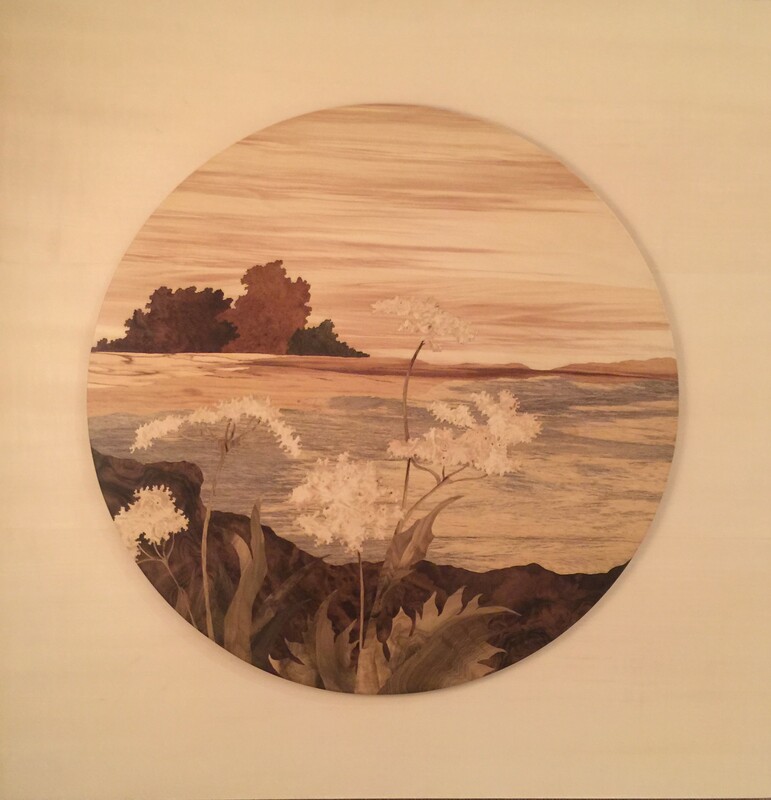 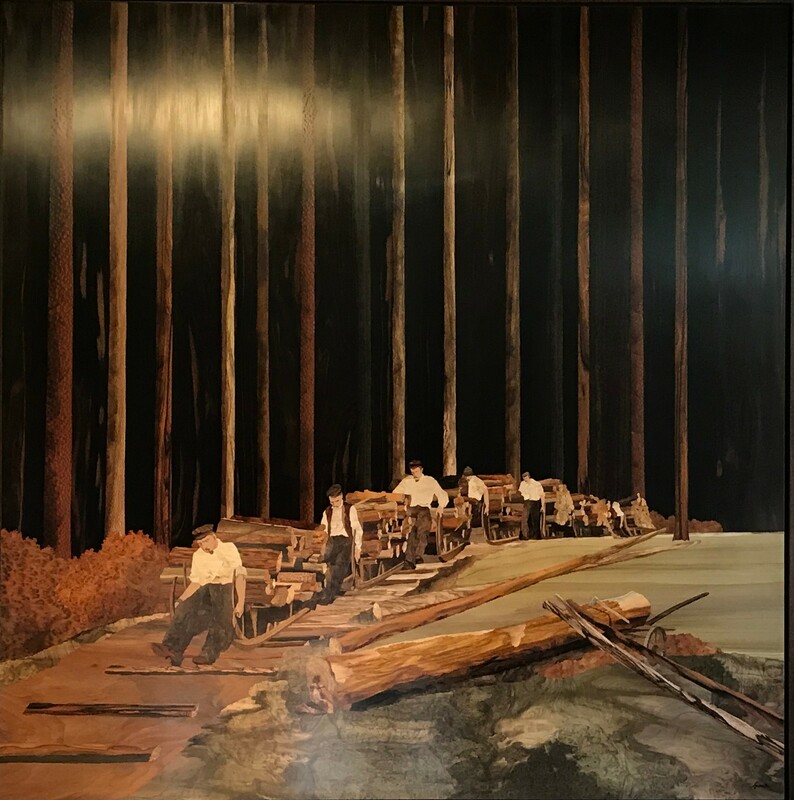 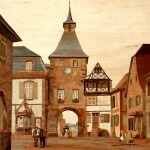 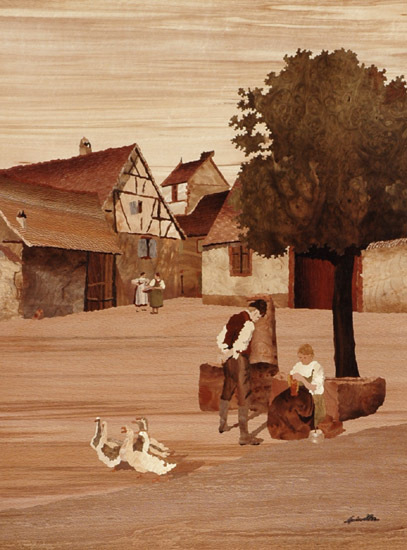 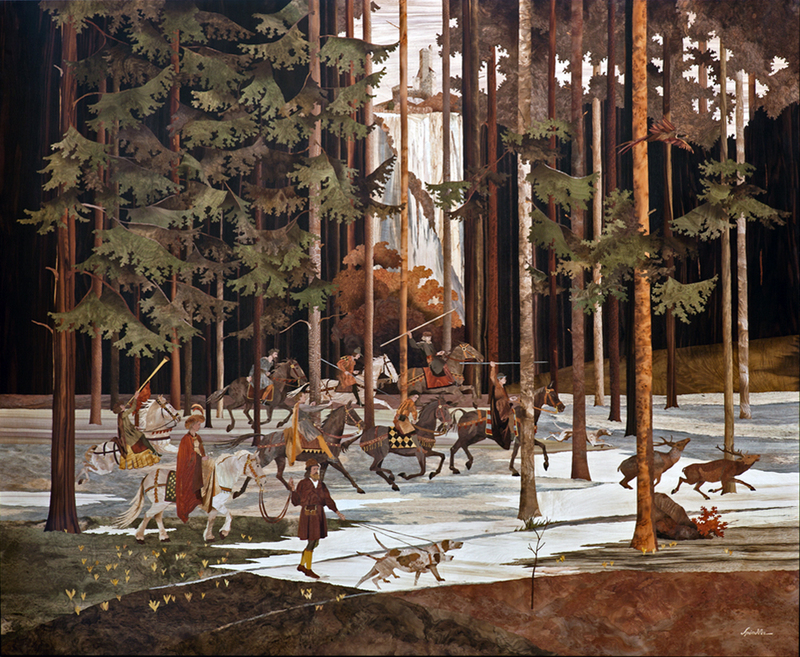 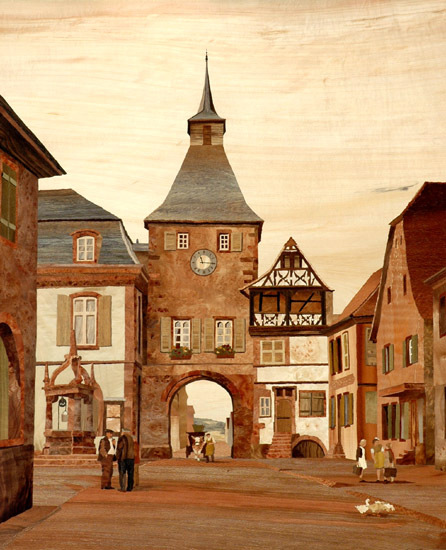 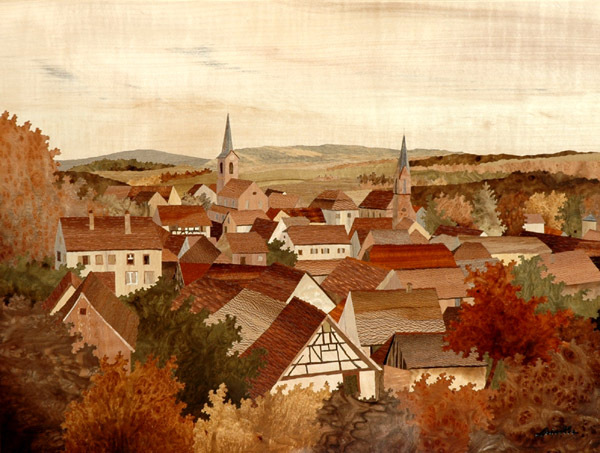 Being a trained painter, he revived the spirit of marquetry by using it as a pictorial technique and not just as decorative ornamentation.